Attack in chess is one of the best (and most important) ways to checkmate your opponent and to win the game. 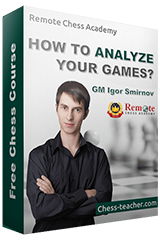 However, most chess players, especially the club-level players and beginners do not know how to deliver a successful attack. They usually think that there are no concrete principles of attack in chess. I don’t know of anything better than to checkmate the opponent with many sacrifices. The feeling is great when you make a little “masterpiece”. On the other hand, many times all those sacrifices don’t mean anything and after the opponent takes all the pieces that I sacrifice, I have to resign because I don’t have enough material to finish the game. That’s why, we need to think about certain rules in order to be better in the attacks and to deliver a successful attack. 1) Number of pieces in the attack and the defense: If you have more attacking pieces than your opponent has for defense, you have a high percentage to break the opponent’s defense. 2) Targets of attack: When you’re looking to attack your opponent, try first to find the targets of attack. If you don’t know what and where to attack, your attack will fail. The targets can be the opponent’s king or some undefended piece or maybe just a weak pawn. 3) Be aware of your attacking potential: Before you go with the attack, try to get as many pawns and pieces closer to the target. The pawns without the pieces often can’t make a lot of noise, but if the pawns are supported by the pieces, this can be annoying for the opponent. 4) Do not fear to sacrifice: Believe in your forces, and calculate, but don’t be afraid to sacrifice your pieces because it’s not important how many pieces are on the board when the opponent king gets checkmated. Often, the attack is concluded with the help of a sacrifice or a tactical motif. Now let me show you a couple of examples to illustrate the above 4 points. 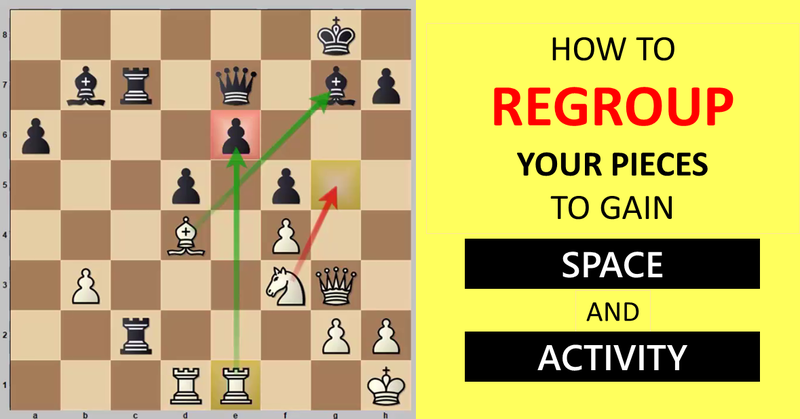 It’s White to play and, if we try to find a way to attack based on the 4 key points discussed above, we will see that White has three pieces in the attack (both rooks and the knight) against only one black piece in the defense (the light-squared bishop). That means a big advantage for White. Next, the target here is, of course, Black’s king. Now, it’s also obvious that both rooks and the knight are incredibly aggressive and well placed; and it’s hard or impossible for the black king to save itself. In the end, we just have to calculate how to break through the weak Black’s defense and checkmate the black king. 1… Kxa3 2.Nxe6 (once again, White removes the last black defender in order to checkmate Black’s king) 2…Kb4 (Black can’t take the knight back because of the checkmate 2…fxe6 3.Rxc4 c5 4.Re3+ Ka2 5.Ra4 checkmate) 3.Rc5 fxe6 4.Rdxc4+ Ka3 5.Ra5# checkmate. If we try to find a way to attack based on the 4 key points discussed above, we will see that Black has potentially five pieces in the attack (the queen, the light-squared bishop, the rook and both knights) against only three white pieces in the defense (the queen, the rook on f1 and the light-squared bishop). That means a big advantage for Black. Next, the target is once again the opponent’s king. Now, it’s also obvious that Black’s pieces are incredibly aggressive and well placed and it’s hard or impossible for the white king to save itself. In the end, we just have to calculate how to break through the weak white defense and checkmate his king. 1… Qh4! (Black wants to checkmate White’s king on h2) 2.Bg1 Bh3! (Black sacrifices his first piece in order to break through White’s defense) 3.Re1 Bxg2! 4.Kg2 Qh3! (Black sacrifices the queen) 5. Kh3 Ng5 6. Kg2 Nh4+ 7. Kf1 g2+ 8.Kf2 Nh3# checkmate! Here we saw an incredible attack and this is one of the best attacks on a king that I have ever seen! Black sacrifices the queen and another piece to break through the opposing defense and checkmate the opponent’s king. Try this out in your games and let me know if this was helpful to you.